Nakamura Tokichi opened the doors to its first traditional tearooms in 2015 in Hong Kong, the Japanese green tea purveyor has caused quite the stir. 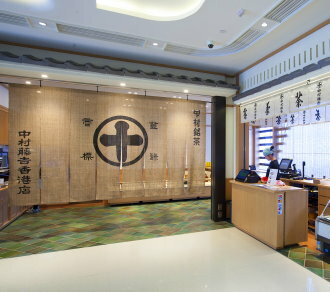 The family replicated the same high level of dedicated attention to produce its teas and snacks, using ingredients flown in especially from Uji, and impressing Hong Kong’s green tea enthusiasts. Its new location will have more capacity of its first tearoom and carries on this tradition, with a host of premium hot and iced drinks, signature favorites and exclusive new offerings. The tearoom is also fitted to faithfully recall Nakamura Tokichi’s traditional Uji cafe, with calming wooden interiors and a tatami-mat floor.